One day earlier last year (April, 2013) we opened the mail to find that Bass Coast Shire Council, under Special Charge Scheme No. 27, planned to charge us $32,700 to seal, concrete curb and channel our dirt road and lay a concrete footpath. About 450 houses in the heart of Cape Paterson have been similarly afflicted because we choose to live on the original unsealed roads. We were very pleased to find a block of land on a dirt road. 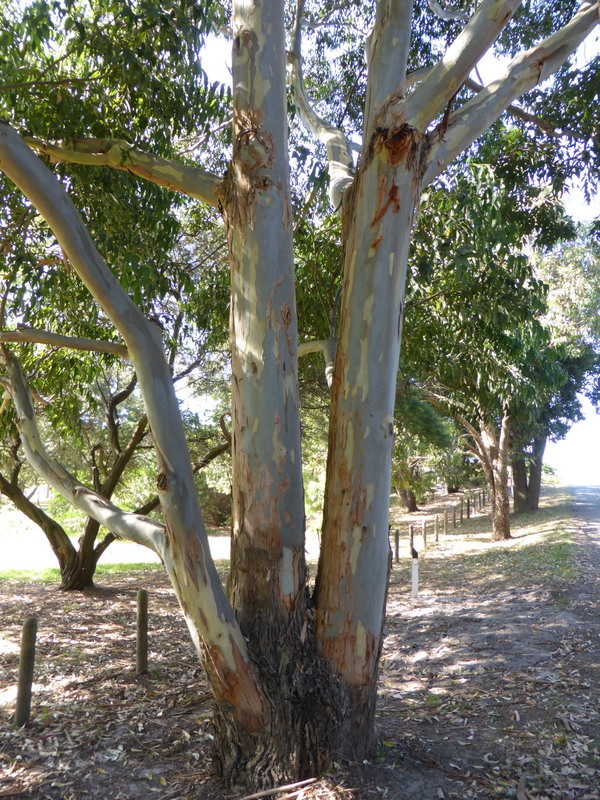 We didn’t want to live on a suburban style subdivision with a vista of dark grey asphalt, white curbs and white concrete footpaths, white concrete driveways and neatly mown grass nature strips planted with trees at measured intervals. We didn’t want the rigid geometry and hardness of such a scheme. There’s a visual quietness about a dirt road. If you’re lucky enough to have local gravel, it sits softly in the landscape, almost merging into the land from which it came. Imported gravel soon settles with rain, fallen leaves and use. On our road at the moment, I’m enjoying walking across smooth old crushed bricks emerging through the top layer of gravel and wondering about where they came from and I’m pleased that they have been reused. There’s a connection with the earth and a suggestion of old paths walked by many feet. I like living on a dirt road because it brings back memories of playing on the road back at Eaglehawk. Our house was on a curve and there was a wide sweep of ‘ non-road’ on the outer curve which gave us a gently sloping gravel playing area. In summer, we would play cricket out there till we could no longer see the ball, and in winter, a seemingly endless game of kick the kick with a sodden bloated football. Rural Councils can use Special Charge Schemes to standardise all roads to a ‘one size fits all’ urban model. However, small coastal communities have a particular character which should be respected, valued and preserved. After a vigorous year long campaign from the community based Preserve the Cape group, the Council was forced to abandon the Scheme because of a 64% ‘Against’ vote from affected ratepayers. 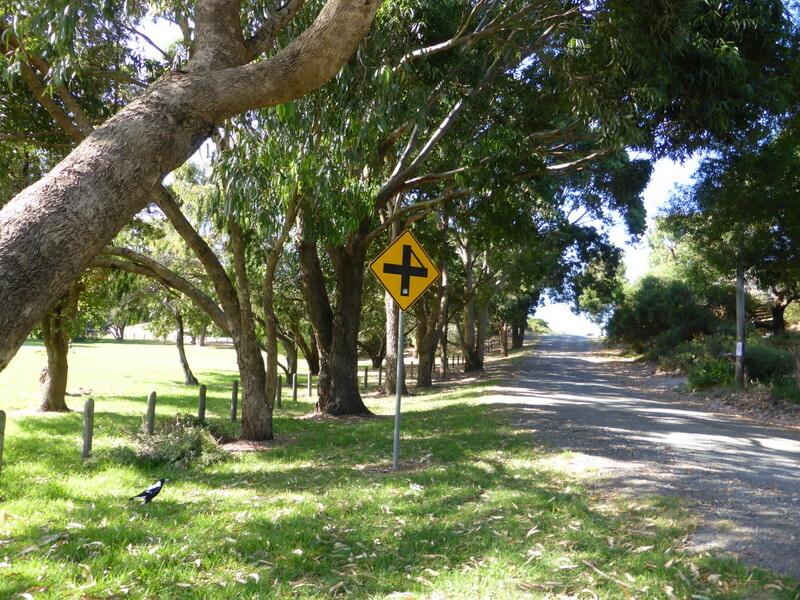 This entry was posted in Cape Paterson and tagged unsealed roads by lizlow2014. Bookmark the permalink. Liz, this is a beautiful piece, and I have had several comments from friends saying they enjoyed it most of all your blog pieces. Love, Dorothy.